- Cancellations made less than 5 days prior to arrival, including no-show, will be subject to a charge of 100% of the entire stay. - The GWI is not liable for cancellations caused by war, hostilities, warlike operations, earthquake, lightning, storm, flood, hurricane, and other man-made or natural disasters. It is essential that you carefully read and that you understandthese Terms & Conditions which contain important information. 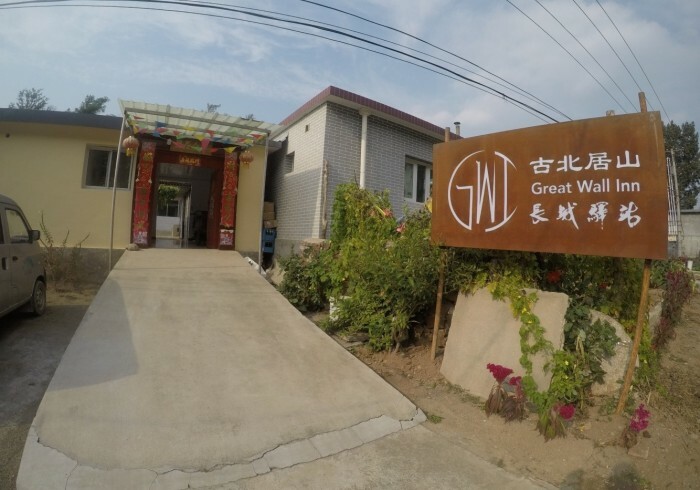 Theyconstitute the contract between Great Wall Inn (the GWI) and you for theservices provided by the GWI and set out the basis of your legal relationshipwith the GWI. By booking with us, you acknowledge that you have read andunderstood and that you agree to be bound by these Terms & Conditions. Wewill inform you in writing (to you or your travel agent) if your booking isaccepted and a contract comes into existence on the date shown on this letteror email confirmation. Guest reservations can be guaranteed by PayPal payment, which isa fast and safe payment method. The GWI reserves rooms on a first-come first-serve basis by PayPalguarantee. - Quoted room rates include Service Charge and Government Tax. - Check-in time is 14:00 hours and Check-out time is 12:00hours. - Early check-in and late check-out are subject to availability. - Late check-out from 12:01 hours to 18:00 hours will be charged50% of the Room Rate. - Late check-out from 18:01 hours will be charged 100% of theRoom Rate. - In the event of a no-show or early departure, the total rateof the confirmed room nights for the entire stay shall be chargeable. - Daily breakfasts are excluded in room rates. - Infants and toddlers, who are below 4 years, accompanyingadults, dine and stay in existing bedding with our compliments. - Children with height more than 1.5m is not accepted to stay onexisting bedding with accompanying adults. Family room with occupancy 3 orFamily suite with occupancy 4 are at your choice. - The GWI is a Non Smoking Inn, and we ask that you refrain fromsmoking in your room or the courtyard not designated as smoking areas. Evidence of smoking in roomswill incur a 300RMB cleaning fee on your account. There's a smoking areaoutside of the main gate. - Pets are not allowed on the Inn premises. - The GWI is easily accessible, but there's no facilities for disabled. - We do not collect “Personal Information” (information thatpersonally identifies our customers or allows us to contact our customers) fromindividuals unless they provide it to us voluntarily and knowingly. Anypersonal information collected will be treated with the strictest confidence. - All guests staying at The GWI must have a valid identificationform (passport with Chinese visa or Chinese ID cards) with them during theirstay and is required to register on arrival. - Our guesthouse accepts cash payment only for bills on site. No credit cards are accepted.PayPal may not work when you're already in China due to safety concerns.We look forward to your visit. Should you have any enquiries,please feel free to call us at +86 139 1136 1359 or email us at info@greatwallinn.com. Wewill be delighted to assist you. - Early check-in and late check-out are subject to availability.- Late check-out from 12:01 hours to 18:00 hours will be charged50% of the Room Rate. - Extra bedding is unavailable. Gubeikou is connected with the Jinshanling and Simatai sections and you could spend as long as 3 days here to explore the surrounding area. Great Wall Inn Gubeikou is only 15 minutes walking from the Great Wall and running by local people in the village. We're trying to set up a place with comfortable & quality sleeping in an authentic & original local community by an affordable way.